Do you have a brick home, brick foundation, or a brick chimney on your home? Be sure to check over any brick or masonry you have on your home for signs of foundation movement and failure. If you notice cracks or bulging in the bricks of your North Carolina home, it could be time for brick repair services from the expert team at Tar Heel Foundation Solutions. Vertical Cracks – Cracks that run up and down your brick walls may be signs of soil shrinkage and foundation shifting. This can be fixed with one of our underpinning or tieback solutions. Horizontal Cracks – Horizontal cracks usually mean settlement in your home, caused by erosion, soil shrinkage, or soil compaction. The solution is to lift the foundation with ECP (Earth Contact Products) helical piers or other support devices. 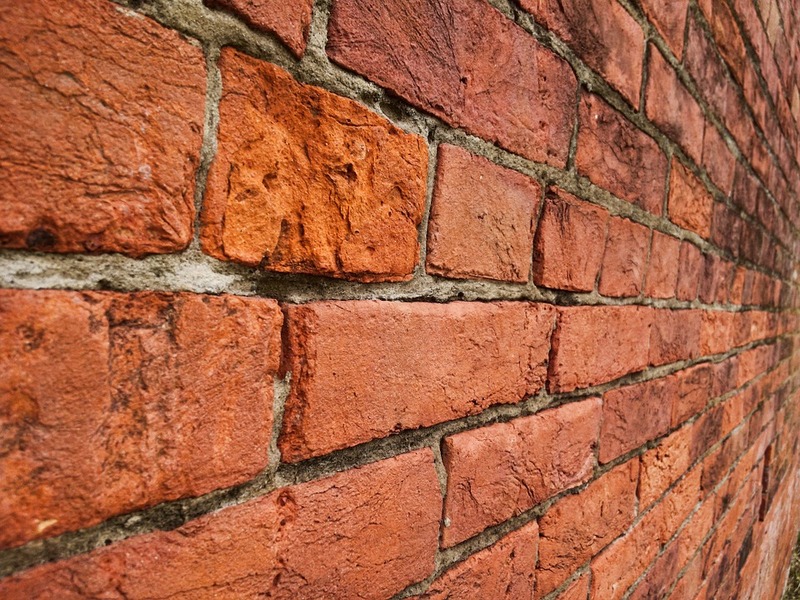 Bulging Walls – Brick walls that are starting to bulge could be the result of excess moisture or soil pressure. Consider carbon fiber supports to keep foundation walls strong. Compaction – When the bricks start to compact, it could mean that the soil settlement below is causing the foundation to settle. We install helical piers to lift and stabilize these foundations. Stair-Step Cracks – Cracks shaped like stair-steps are another sign of settlement that can be fixed by one of our underpinning solutions. 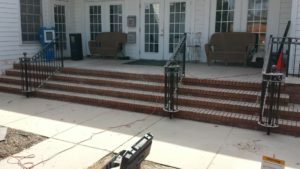 If you see any of these common brick problems in your home, call the brick repair team at Tar Heel Foundation Solutions as soon as possible to get the best repair options. We offer the right foundation repair solutions to take care of brick cracks and other issues right away. Some of the foundation lifting and stabilizing techniques that we use include steel foundation repair products from ECP. We offer helical piers as well as tiebacks and soil nails. Helical piers are like large steel stilts that are screwed into the ground under the foundation to lift settling slabs. For shifting foundations causing bulging foundation walls and brick movement, we offer helical tiebacks and soil nails, which pull the foundation into place for more stability. We can also install Rhino carbon fiber to strengthen and straighten foundation walls from the inside. Brick repointing is another option available for some brick repair projects. When utilizing brick repointing, every brick joint is replaced with new mortar. 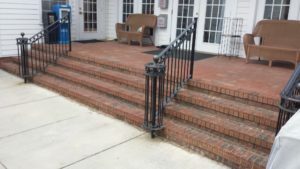 This process gives new life to your brick surfaces and the appearance is almost new! If the brick problems in your home are due to moisture problems, we provide foundation drainage options to keep water away from your home. This drainage control means that your foundation will not be exposed to moisture since the water will be drained away from the concrete and the bricks. Contact Tar Heel Foundation Solutions right away to learn more about our brick repair options for your home.